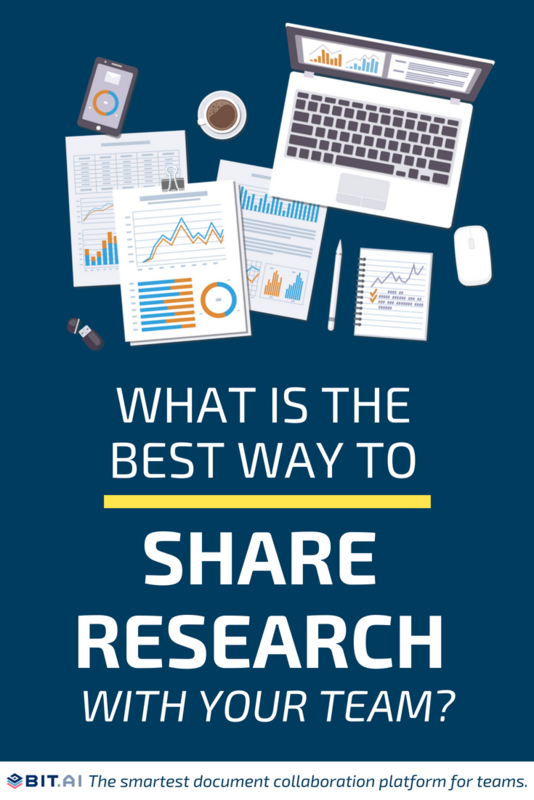 What is the Best Way to Share Research with Your Team? Research plays a big role in every aspect of your business. Whether you conduct market research to understand your target audience, study a particular technology, conduct competitive research or get inspired by new design practices across your industry, research helps you gain deep, meaningful insights into a particular topic or area and act on it intelligently. However, all of the time, effort, and resources spent on conducting research is only helpful if you are able to share this research with your co-workers or other stakeholders in a way they understand. Researches have to communicate months of research work into minutes. Researchers need to consolidate their findings in a way that is easy for their audiences to follow and understand. No matter how complicated the research may be, a great researcher is able to break down the complex and simplify their research results. It’s one of the biggest challenges faced by researchers and company’s in general, so we decided to do something about it! We’re going to show you how you and your team can collaborate and share research more effectively. It’s important that everyone grasps your message quickly and easily. Before we dive into the solution, it’s important to understand the root cause of research getting lost in translation. Today, research is dynamic. We no longer go to the library to study a particular topic and take notes. Rather, we go online, browse websites, watch videos, study analytics, and conduct our research by exploring different types of digital content. We then take that information and create summaries to share with our teams through emails, attachments, meetings, presentations, etc. Bringing stakeholders and other team members closer to your research is important. Only when you effectively share your findings can the team can act upon them and improve the status quo. However, since our research is dynamic and includes all this wide variety of content and formats, it becomes difficult to convert that interactive experience into boring email or slides. You have to fit everything you learned into an hour-long presentation. We compress and distill findings to make them easy for teams to digest and act upon, chopping the research up into mere bullet points that are needed to make product decisions. As we trim down the number of slides, the actual meaning behind the research gets lost. With the digital rich research, we are doing why are we summarizing it with just text? Information that lives online is multi-dimensional. The research we do is multi-dimensional. Yet our communication is one-dimensional. Unfortunately, there has been a lack of a solution that helps researchers share dynamic research in a visually engaging and easily understandable way. What if we told you there’s a better way out there to share research with your team? Where you can not only share text and images, but can show your peers all of your digital findings in a single location. Imagine being able to share different dynamic content you found, minus the email attachments or shared cloud folders. This is where Bit comes to save the day! 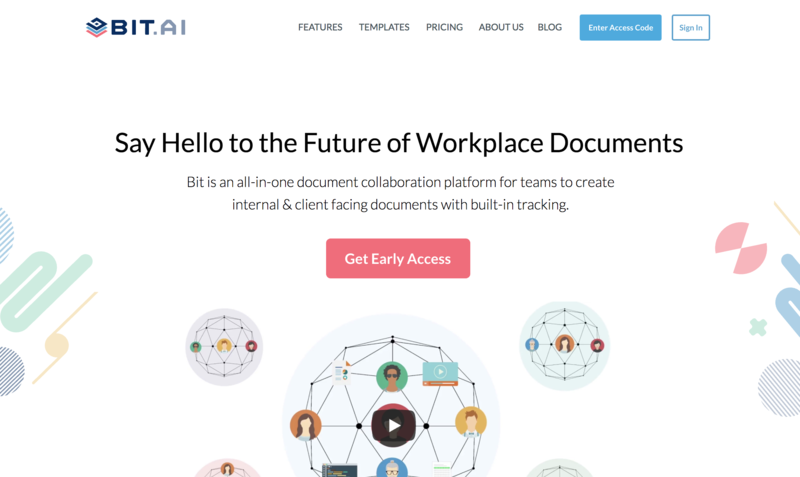 Bit.ai is a new-age document management and collaboration tool that helps teams to collaborate, share, track and manage all company knowledge and research in one place. It’s the perfect tool to share multi-dimensional research with your teams. Bit documents come alive and help you share research work beyond just plain boring text. You can add rich media like YouTube videos, Google Docs, One Drive, Excel Spreadsheets, SlideShares, etc. Basically, anything on the internet with a link (i.e. https://example.com) can be shared and Bit will automatically turn it into visual content. With Bit, you can add code blocks, math equations, add files that can be downloaded by your audience, GIFs, and more! Design: Share PSD files of company logos, design best practices, recommended color-schemes, design inspiration, etc. You can also add interactive design content directly from sources like Behance, Figma, Marvel etc. Sales: Create sales strategies, sales enablement documents, add research of prospect information, etc. Marketing: Share marketing research data with graphs (Google Spreadsheets, Excel), charts, and polls (Google Forms and Typeform), marketing ideas, case studies, advertising data, etc. Product / Development: Share code from GitHub or Pastebin, product specifications, how-to guides, training and onboarding documents, etc. Research & Development: Share research data, key findings and statistics, trends and other key documents to kickstart discussions and ideas. Collaboration: Multiple people can simultaneously collaborate on a Bit smart document in real-time. As research can take up a lot of time and effort, invite colleagues to help you out and share the content they find in a common workplace. It’s a wonderful way to conduct research by working simultaneously with your peers and superiors. Thanks to its smart editor, Bit makes the process of documentation and content creation quick and easy. Content Library: Bit has a content library that automatically saves the images, files and digital content you add to your research so that you can access and reuse them easily. Workspaces: Smart workspaces are created around projects, teams, departments, and clients to keep your research data and information organized. Workspaces make it easy to collaborate and ensure that the right team members have access to the right documents at the right time. They are fluid so your information can move through your organization’s workflows. Search: Bit documents also support smart search, which allows anyone to search and find any files, images, documents etc quickly and easily across all of their workspaces. With the ability to effectively label content, users can search their digital assets using keyword, titles, descriptions, or tags. They can even search files based on its source. (i.e., YouTube). Manage Permissions: Bit allows users to manage permissions and information access that suits your organizational needs. It supports features like document tracking, password protection, file access restrictions, etc. that help keep your important company information safe. Bit provides a common workplace for knowledge workers and experienced executives to collaborate with employees, share their research and knowledge, brainstorm ideas, store digital assets, and innovate together. The best part is that this knowledge is safely secured in your workspaces and can be shared (or kept private) with anyone in your organization! So what are you waiting for? No more refining that PowerPoint, no more email attachments, and no messy shared cloud folders! Keep your research in one spot with Bit and give a full 360 degrees view of your digital research to your peers for better understanding and decision making!